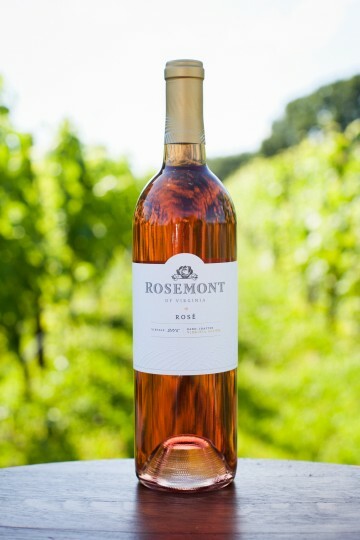 Our signature Rosé is bright and fresh, a dry Rosé, made from 100% Chambourcin. The 2018 vintage is a beautiful, light salmon color with beautiful crisp acidity. It offers aromas of rose petal and vine picked strawberries and features beautiful crispy acidity with the flavor of white raspberries. The perfect refreshment for warm Virginia days! What is the grape? Why don’t you say here or on the bottle? Hi Moya! The grape in our Rose’ is 100% Chambourcin! We think it makes for a wonderful dry Rose’ wine and we pick the grape early, specifically for the purpose of making our Rose’. We will certainly get that posted up on the website. We generally don’t put it on the bottle as most people are unfamiliar with the Chambourcin grape, and we don’t want that to deter them from trying the wine! So, so good. I have one bottle left, and will have to order another three or so. Such good wine. As an avid fan of your Kilravock and have purchased that for the last 2 years, Let me just say that I love your wine! I’m excited about the Dry Rose and I happen to adore a dry Chamboursin! Will you be bringing that to taste at the Pungo Wine Festival this Saturday? My new-found passion is Virginia Rose’s and I’m very interested in experiencing yours. I live in the Middle-Peninsula area so the festivals are where I get to try your wines to I appreciate your participation in our Virginia Wine Festivals. Thanks for your great work in growing, processing, blending and aging a beautiful product for everyone to enjoy! When do you plan on having more in stock? We will be bottling the 2018 vintage mid-January and will release it near Valentine’s Day! One of the best Rosés curated in VA. So excited for the release.